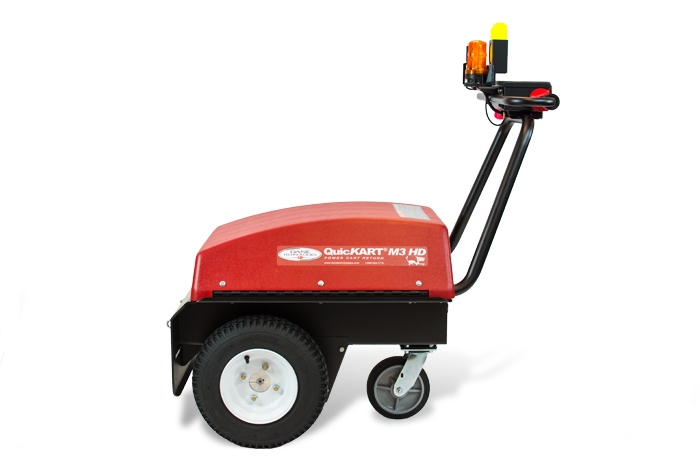 The QuicKART® M3 and QuicKART® M3 HD are the world’s first and most popular shopping cart pushers and cart tugs. The QuicKART® M3 easily maneuvers a nested chain of up to 30 shopping carts through the parking lot, and returns carts quickly and efficiently to the store collection point. Used for trolley management around the world–the M3 and M3 HD cart retrievers are ergonomically designed to increase productivity, capacity, and employee morale while decreasing strain-related injuries and damage to property. The QuicKART® M4 is the 4th generation of Dane shopping cart movers–value engineered to deliver the most cost effective solution for cart management. 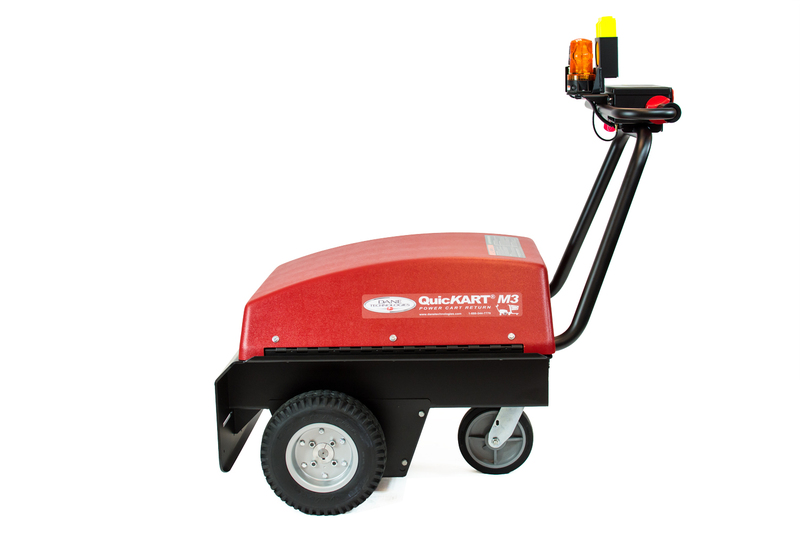 The QuicKART® M3 cart pusher sets the standard for shopping cart retrievers–collect up to 30 nested shopping carts with a single operator, increasing productivity and reducing strain and injury. Market-leading features and functionality include patented Burst Mode and Automatic Dynamic Braking, best-in-class controls, and the most extensive warranty in the industry. 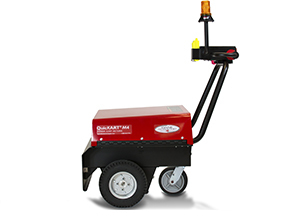 The QuicKART® M3 HD cart pusher offers additional power with a 1.75 HP motor, and larger tires to handle more rugged terrain and adverse weather conditions including snow and ice, while delivering the same productivity and safety returns as the QuicKART® M3: 100% productivity increase, and $20,000 saved every year. 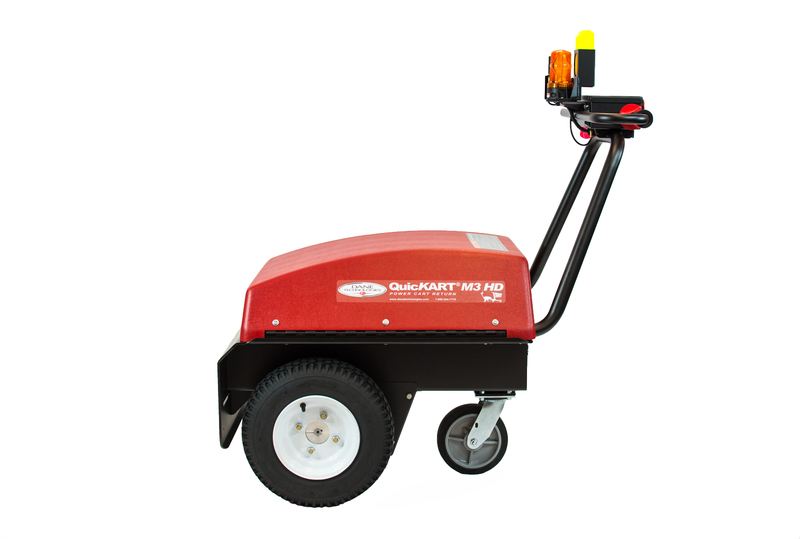 The QuicKART® M4 cart retriever is value engineered to be the most cost effective solution for shopping cart collection. With 20% more power than competitive solutions, the M4 delivers the most power at the best value. The QuicKART has never had any competition when it comes to quality & now the QuicKART M4 is available for an unbeatable price.